I thought it might be nice to begin the week with a my top five pieces of news from across the literary world. 1. Opinions on blogging are optimistic according to What's the blogging story? Apparently people think positively of social media. 2. The agency pricing model is expected to be pushed through this week. Though Penguin claims that 'the agency model is more likely to provide authors with a just reward for their creative content, while establishing a fair price for the consumer', the issue remains controversial. 3. Random House has bought the rights to Salman Rushdie's memoir. 4. Alex Preston's debut novel This Bleeding City was announced as the First Book Award at the Edinburgh Book Festival . 5. Dawn French's A Tiny Bit Marvellous is out. The Spectator says criticising Dawn French feels like kicking a puppy, I vote they just don't criticise her then. With the exception of A Tiny Bit Marvellous, which I will be reading asap, I'm also hoping to get hold of a copy of Children of Catastrophe by Jamal Kanj. 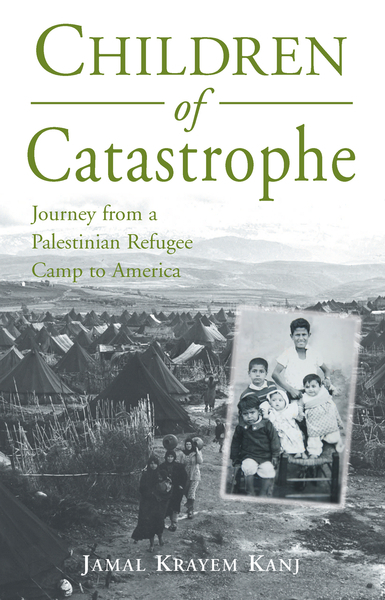 In complete contrast to the lighthearted A Tiny Bit Marvellous, this tells the story of a palestinian refugee. From his life in a Palestinian refugee camp to living in the United States and working as an engineer. It promises to be emotional and enlightening.